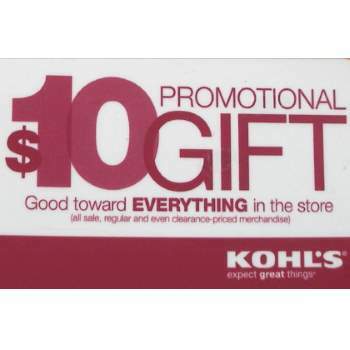 Kohl’s is giving away coupons for $10 off of a $10 purchase. This is an easy way to get a free $10 item from them. All you need to do is join their free mailing list called Yes2You. They will send out your coupon via email that you can either use on your smartphone at the store or print it out and bring that to the store. This is a great way to get a free $10 item once per year, every year. Remember signing up is very easy and free.